FREE Delivery & Removal as well as Price Matching*! 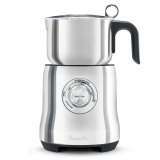 Best value is guaranteed when you buy the Breville BMF600BSS Milk Cafe Frother from Appliances Online. Trusted by over 350000 customers - Appliances Online Legendary Service! FREE Delivery & Removal as well as Price Matching*! 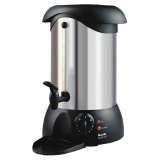 Best value is guaranteed when you buy the Breville URN6CRO 6L Hot Water Urn from Appliances Online. Trusted by over 350000 customers - Appliances Online Legendary Service! FREE Delivery & Removal as well as Price Matching*! Best value is guaranteed when you buy the Breville BEF560BSS the Thermal Pro Banquet Fry Pan from Appliances Online. Trusted by over 350000 customers - Appliances Online Legendary Service! FREE Delivery & Removal as well as Price Matching*! Best value is guaranteed when you buy the Breville BEF460GRY the Thermal Pro Banquet Frypan from Appliances Online. Trusted by over 350000 customers - Appliances Online Legendary Service!